Submitted by ajasaro on Thu, 03/10/2011 - 8:47pm. 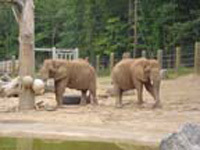 Association of Zoos and Aquariums (AZA), Canadian Association of Zoos and Aquariums (CAZA), World Association of Zoos and Aquariums (WAZA) approved list of Zoos, Zoological Gardens, Zoological Societies, Wildlife Centers, Wildlife Parks, Wildlife Preserves, Wildlife Safaris, Wildlife Sanctuaries, Petting Zoos, Nature Conservatories, Living Museums, Aviaries, Discovery Centers, and Reptile & Game Farms. This is a comprehensive list that also includes non-association facilities. Plus a list of research centers and non-association zoos.